We have finished sewing the Zlata skirt. I showed you how to sew all three variations of the skirt, and you saw the lining pattern can be used to make an A-line skirt. Today I 'll show you five alternative ways to use the pattern, by making alterations to it. Since all the alterations are rather simple, I decided to describe them all in a single post instead of having two separate ones I initially announced. Therefore, this is the last post from the Zlata sewalong series. I've already shown you this variation of the skirt, with horizontal seams that make the skirt look as if it had stripes. You can alter the skirt using two or more fabrics in contrasting color or prints, and you can make as many horizontal stripes as you like. You can even make the stripes in different widths. Alter the pattern by making curves along the skirt panels, parallel to the hemline. 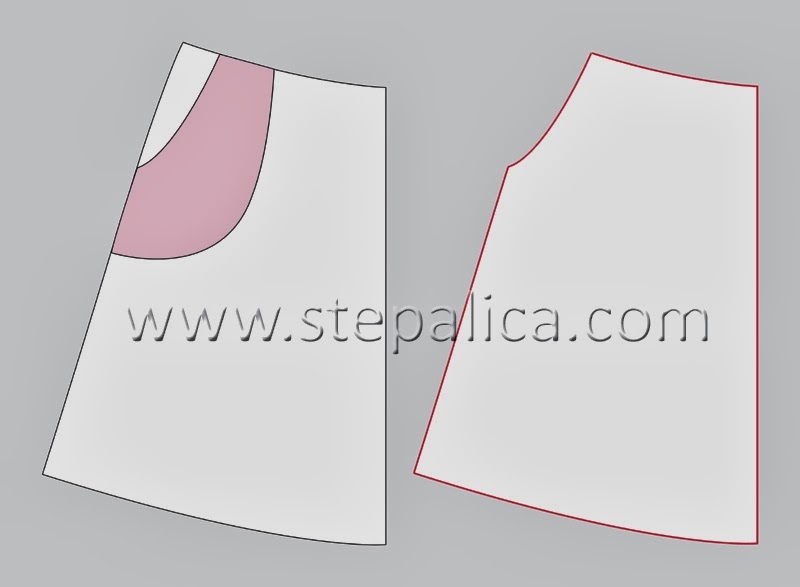 Cut the skirt panels along the new curves and cut the fabrics using the new pattern pieces. 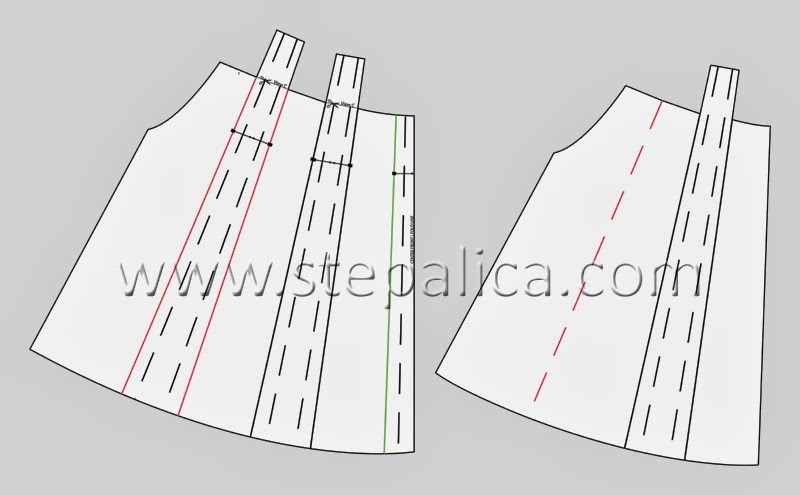 If you want to make a skirt using a plaid fabric, and you'd like to match the horizontal stripes along the seams, while making them parallel to the hemline, you will need to cut the skirt panels to pieces as shown on the picture below. 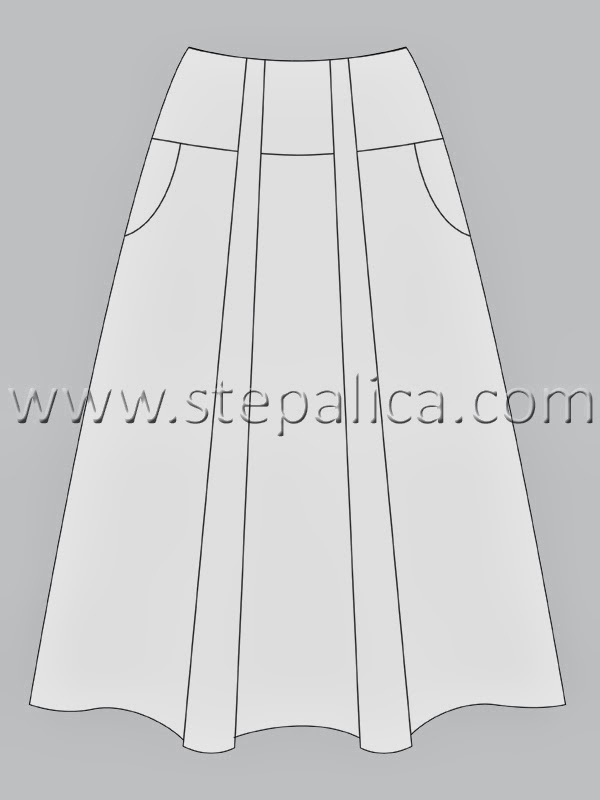 Rotate all the pieces so that the hemline is almost horizontal, and mark the straight grain lines. When cutting the fabric make sure all the checkers are well matched along the seams. Alternatively, you could cut the pleat panels on bias, which would make the skirt really interesting. 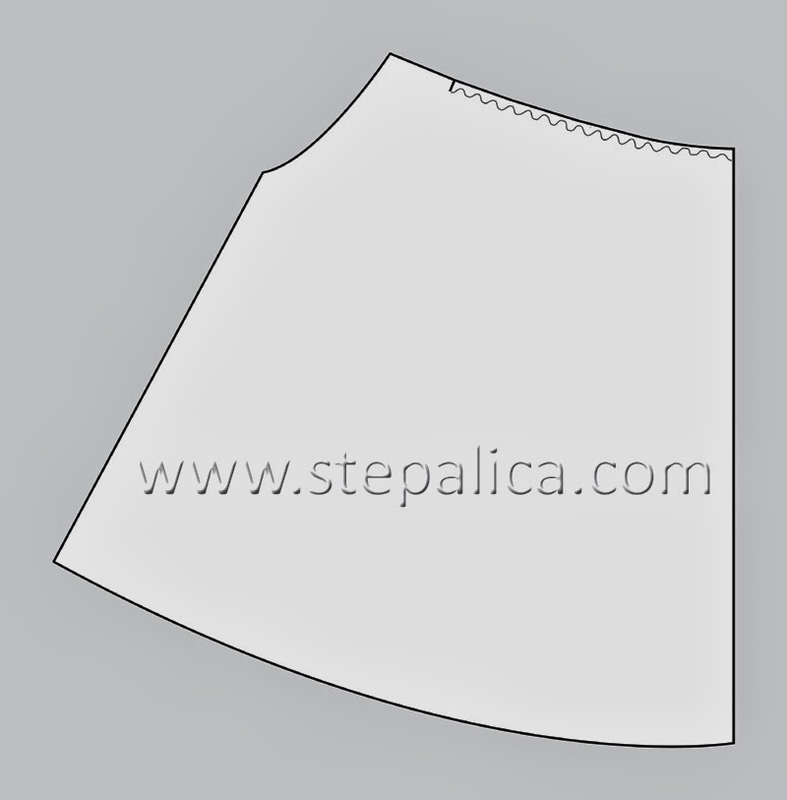 Instead of making box pleats, you could make gathers along the top edge of the skirt panel. Cut the pattern for the view C and gather the top edge instead of pleating it. 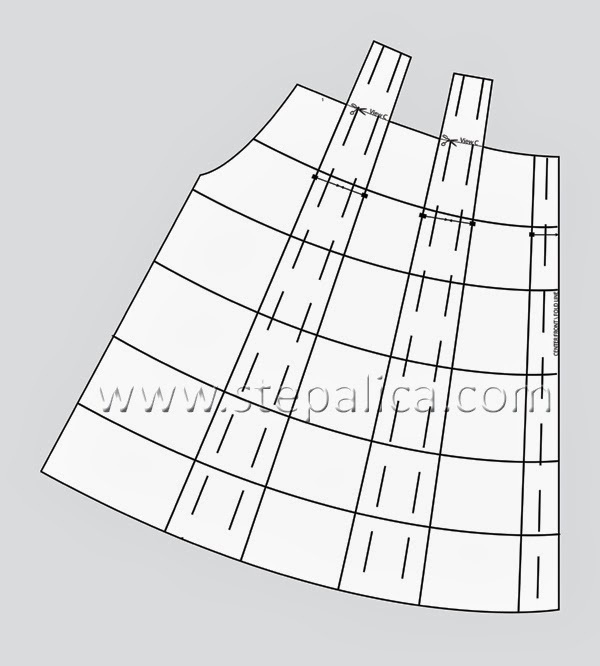 The skirt should be gathered between the left and right side pleats. You could use light to medium weight fabrics like viscose, georgette, chiffon, silk, cotton, linen, lightweight denim, thin corduroy, soft suiting, etc. 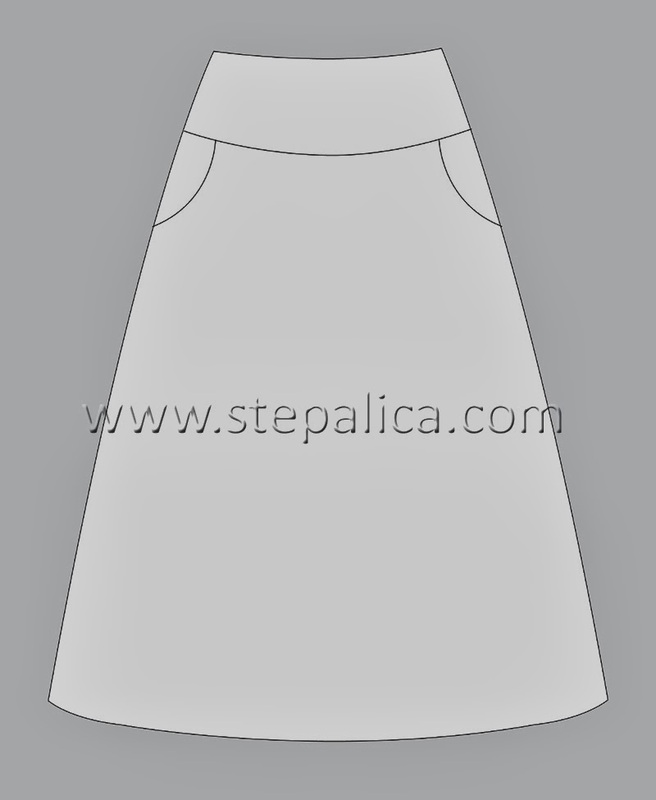 You can trim the lining pattern with pockets and make a nice A-line skirt. Lay the pocket lining pattern over the front skirt lining panel and copy the pocket opening shape to the skirt pattern. Cut the skirt along the drawn curve. Use the pocket pattern pieces to complete the skirt. 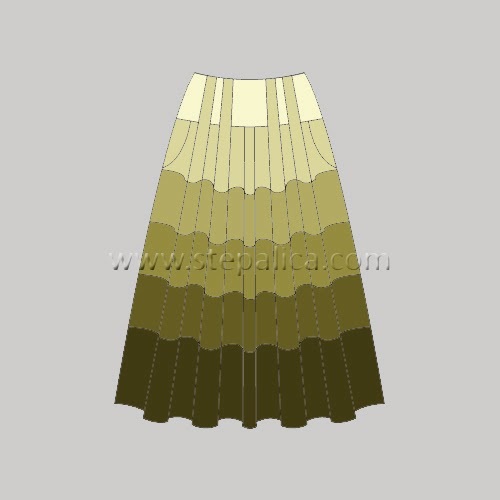 You will get another interesting variation of the skirt if you reduce the number of pleats. 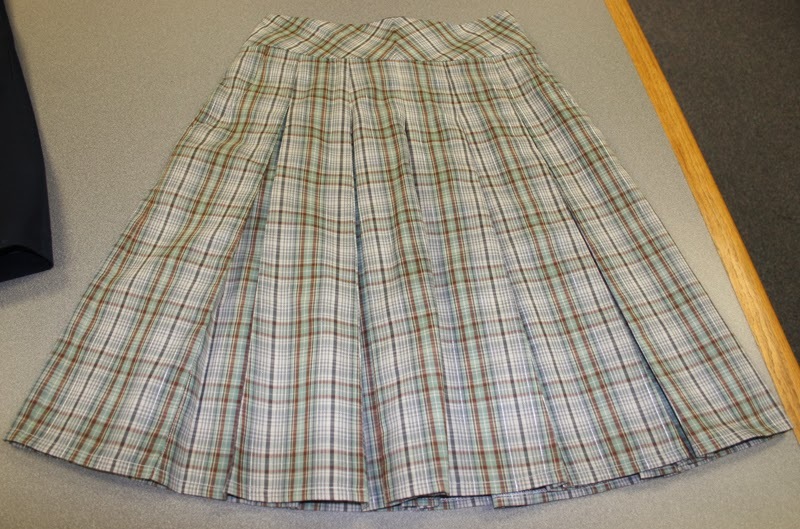 The pleats can be removed from the skirt panel by closing them, meaning connecting the end fold lines of the same pleat. The center front pleat can easily be removed by folding it along the full pleat line, use the fold line as a center front / center back line. 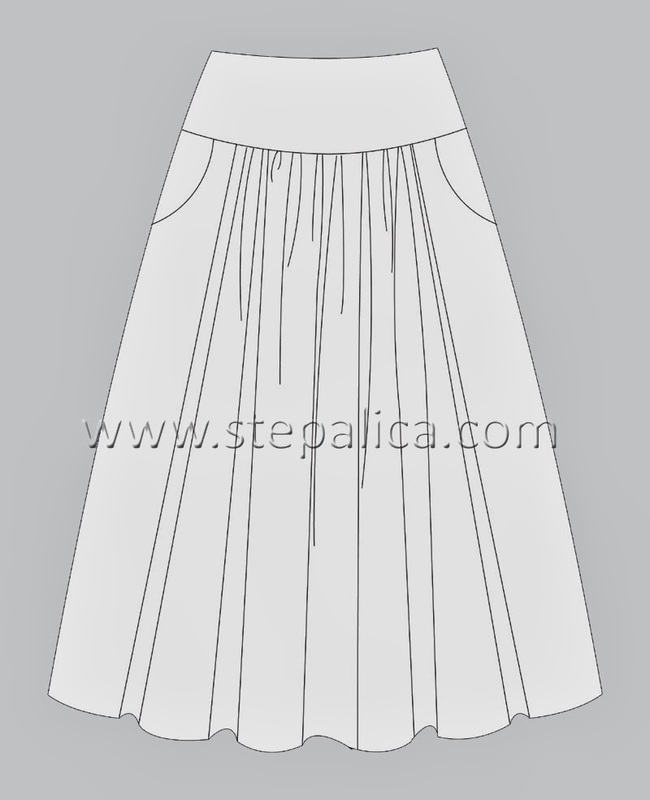 I hope I have given you enough ideas for various interpretations of the Zlata skirt pattern. 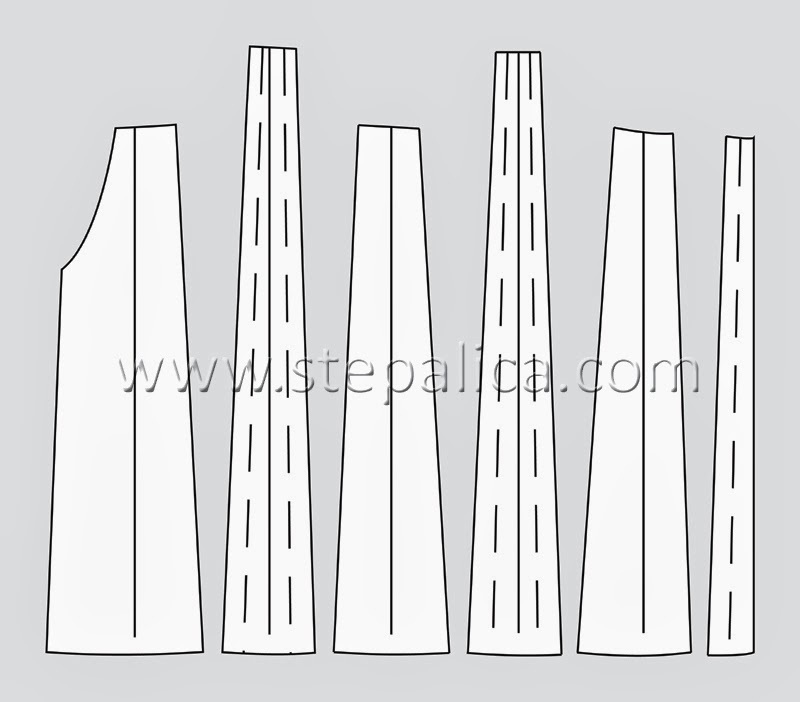 Along with the three views and the lining pattern you have a solid base for making lots of various skirts. I believe you'll discover some new ways for using the pattern as well. Either way, I would love to see where your imagination has taken you! To be honest, writing the sewalong has dried me out, so I'll try to rest this week, but I'll continue writing on a regular basis from the next week. I'll write as per usual schedule - on Mondays and Thursdays. During the last month, since I published the pattern I even managed to sew several garments, and I'll show them to you in the days to come. I even prepared some new tutorials for you.